There’s a fast rising group of consumers that are completely changing how shoppers research and buy products, particularly within the store. 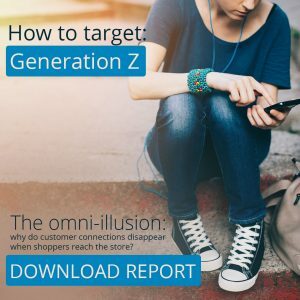 Generation Z – those born in the mid-late 1990s – are the first true set of digital natives, and as they grow older and accrue greater spending power, this will put new pressures on retailers to make omnichannel technologies inherent in every aspect of the shopping experience. Already we are seeing these young consumers disrupting traditional behavior patterns. Here are some of the trends that retailers should look out for, and begin to adapt their strategy in light of, to prepare for the game-changing behaviors of Generation Z. More than any other consumer group, Generation Z takes its time to commit to a purchase. Perhaps because their young age means a limited disposable income, or because they have grown up in times of economic recession, it is not uncommon for Gen Z to carry out more research than older shoppers during their buying journey. For example, recent research by Vodat International revealed that a quarter (23%) of teenagers will visit a store twice before deciding to check out.Retailers, therefore, need to be patient and supportive during this process, and have the technology to aid that journey. Mobile POS can be particularly effective in the store, as it gives sales associates access to detailed information on a product, availability, and online data such as customer reviews to persuade undecided shoppers. On the subject of technology, incorporating digital into the physical retail experience is extremely important to Generation Z. Remember, they have grown up in a world of smartphones, instant messenger apps and social media; using tech is as second nature to them as breathing.As a result, retailers need to think very carefully about their store technology investment over the next few years. Generation Z might be young but their disposable income is growing, and putting the right devices in place to engage them is not a quick task if companies want to ensure long-term value in their investment. Authenticity is a really big deal to younger consumers; being loyal to a brand is not just a statement of where they like to shop, but who they are as a person. From heritage to product manufacturing, marketing and pricing, retailers’ complete ethos and proposition needs to have integrity to chime with Generation Z.Transparency should not be mistaken for affordability. To Generation Z, it’s about the price being right for the product, not necessarily being the cheapest on the market. They will spend their hard earned cash wisely – even if it means saving up to buy from the brand they really want. As I’ve mentioned several times in this blog post, technology is going to become an increasin gly important feature of the physical retail experience as Generation Z’s spending power grows. It is all too easy for retailers to bury their head in the sand and ignore the challenges of this disruptive consumer group until their demands are deafening. However, by that point their rivals will be several steps ahead and doing a much more persuasive job of attracting Gen Z customers. There is no two ways about it: the relationship between retail stores and customer technologies will only become more intense. By leading the charge now, retailers can put themselves in a position to invest in scalable solutions that deliver ROI over several years – as well as being poised to cash in on Generation Z as they come of age. For more insights into how consumers shop, read our blog series on how to target Millennials, how to target Baby Boomers, and how to target Silver Surfers. Alternatively, for support in preparing your business for the demands of Generation Z, iVend Retail offers a comprehensive suite of omnichannel retail technologies, to connect your channels and drive individual value for every customer. 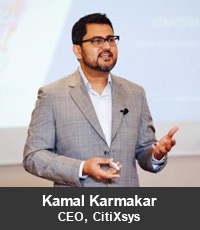 CEO of CitiXsys Kamal Karmakar is widely respected as an innovator and expert strategist within the retail sector. Under his guidance, CitiXsys has established itself as a market leader in retail technology with a reputation for delivering integrated retail management solutions (iVend Retail) for the way retailers work today.